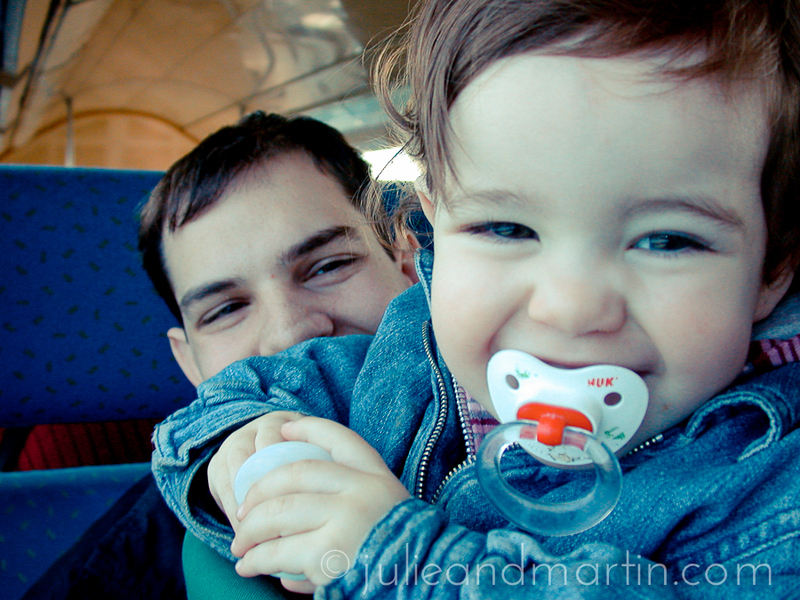 Photo of Miss C and Martin from 2005 … because I’m full of hormones and feeling sentimental. Because she’s going to German school next year, this upcoming formal dance may be the only one of its kind for Miss C.
So, we allowed her to ask one of her friends (a fellow American in our village who used to attend the same school) to be her date. Strictly as friends, but as expected, Martin isn’t very enthusiastic: he was shocked when he saw Miss C trying on my formal dresses, and he’s pretended not to be supportive any time the subject came up. However, I just learned that this whole time, he’s been texting with the young man’s mother, coordinating logistics and recommending where to get the best suit and tie. He also went ahead and made a dinner reservation for the pair. I know he’s still going to grumble about his girl growing up and all, but it makes me smile how he’ll still do whatever he can to make sure everything is in place for her to have a wonderful time. Speaking of my teenager, she is getting braces this week, and picking out her classes for ninth grade. Meanwhile, a package for FestBaby arrived: burp towels, pacifiers, other items for a newborn. Things are starting to feel a little surreal around here. Next > He’s Got Jokes.